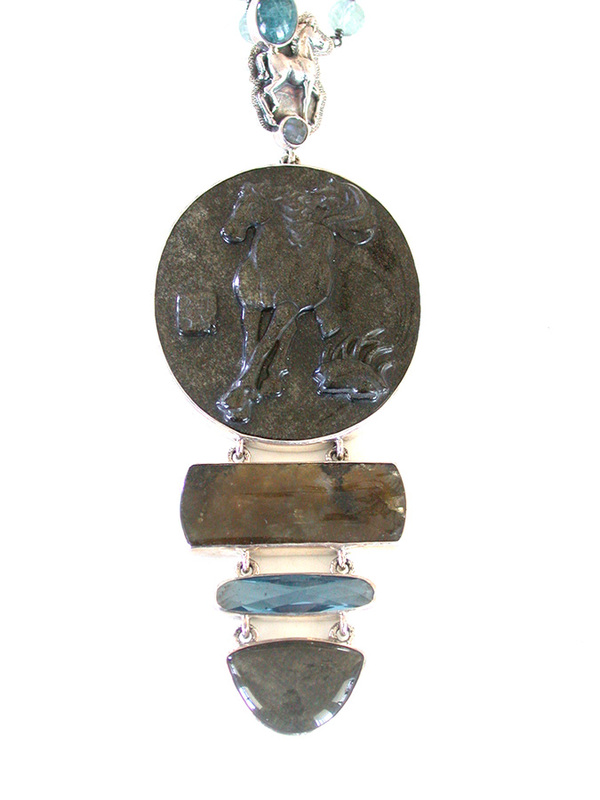 Beautiful handmade necklace by Amy Kahn Russell features a pendant of apatite, hand carved hypersthene (horse), labradorite and faceted quartz bezel-set in sterling silver attached to a necklace of labradorite and quartz beads. The pendant can be detached and used with a chain of your choice. Sterling silver toggle clasp.